The highly-anticipated strategy game for Wii U, Pikmin 3, has been delayed to the second quarter of 2013. In a recent Nintendo Direct briefing, a company representative revealed that the latest title in the Pikmin franchise will not be releasing during the company’s ‘launch window’ for the new console, which spanned November 18, 2012 to March 31, 2013. 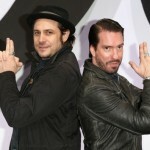 Instead, the game will release sometime during the second quarter next year, which means that it can be expected to hit the shelves sometime between April 1– June 30. 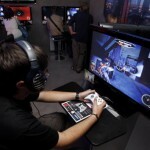 So far, the company has not revealed the reason for the delay, though it seems quite obvious that the company wants to give as much time to the developers as possible to continue working on the game so that the best possible quality can be attained and the consumers come across a deeply satisfying experience. While the news of Pikmin 3’s delay had set forth an atmosphere of doom and gloom, Nintendo has shown off a handful of new videos of the game, which include new trailers as well as fresh gameplay footages. The latest trailers and gameplay videos reveal new areas as well as new enemies that were not shown during the game’s presentation at the Electronic Entertainment Expo (E3) at Los Angeles earlier this year. 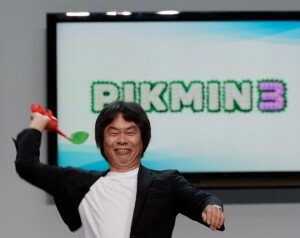 Pikmin 3 has been in development for quite some time now. 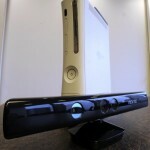 While the company had initially planned on making the game for Wii, it was later decided that it would look and play much better on the high-definition (HD) dual-screen video game console. 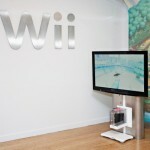 The game will, however, be releasing on Nintendo’s current-generation console as well, though it will require the system’s remote as well as Nunchuk accessory. The latest Pikmin game will deviate significantly from its predecessors. Players will be able to control four different leaders of the plant-like creatures instead of just two, as was the case in the GameCube version of Pikmin games. Gameplay footages have also revealed the introduction of at least two new Pikmin types. These are Rock Pikmin, which will help the player to smash through tougher-than-usual barriers, and Pink Pikmin, which appear on the developer demo’s start screen animation. Originally meant to be launch title for Wii U, Pikmin 3 is one of the many exclusive that are in the pipeline for Nintendo’s next-generation console. While the delay in the game’s release could have possibly taken its toll on the overall impact of Wii U in the market, the new console had an overall smooth launch, with much of the credit going to the third-party support. There are indeed a number of hurdles present in Wii U’s path to success, but Nintendo appears to be doing quite well and getting the desired result so far.